Mounira is a co-founder and CEO of Emkan Education. She worked as a Senior Research Specialist with the Ideation Center, Booz & Company’s think tank in the Middle East. She was leading the Ideation Center’s research efforts on education, women’s studies, youth development and evolving social issues that have important implications for the Middle East region. She also worked as Assistant Governor for National Qualifications and Advisor in the Public Education Evaluation Commission in Saudi Arabia and she lectures and teaches on a part time basis. Mounira is also leading the development of Aanaab.com, an online professional development platform for teachers. She is an advisory board member of the Technical and Vocational Training Corporation (TVTC) for women and a member at the National Childhood Committee. She is also a Board of Trustee at Dar Al Hekma University. Mounira has published two books and is passionate about building teacher capacity. 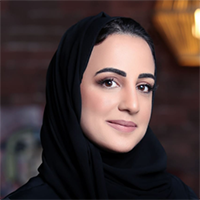 Mounira holds a Ph.D. in Education from Oxford University and a Master’s Degree from Columbia University and a BA in Special Education from Dar Al Hekma University. She has written extensively on education in Saudi Arabia, among other topics.